The Orbian SCF transaction process is streamlined utilizing our user-friendly and robust technology platform. Orbian captures the approved invoices directly from your ERP system automatically and immediately presents them to your suppliers via our secure web-based platform, giving suppliers real-time visibility into invoice payment status. Real-time access to approved invoice data including payment instructions, payment notifications, settlements, discounts and all underlying remittance detail. Orbian can monetize any size receivable or group of receivables for our supplier clients typically three days following invoice approval. 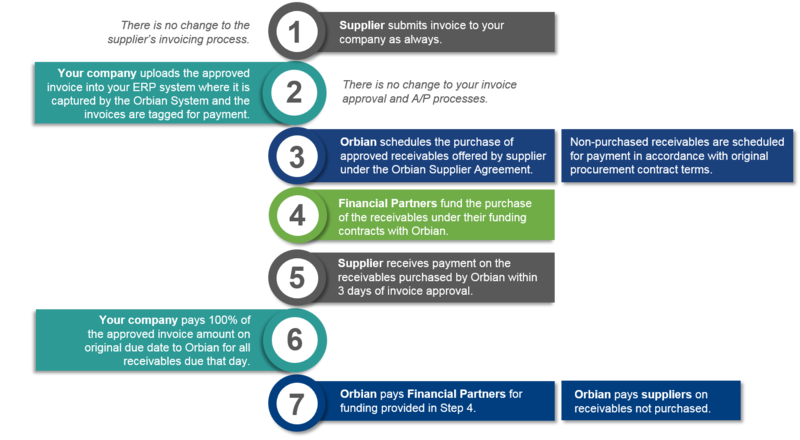 Orbian fully automates the settlement processes for all payments made to suppliers. 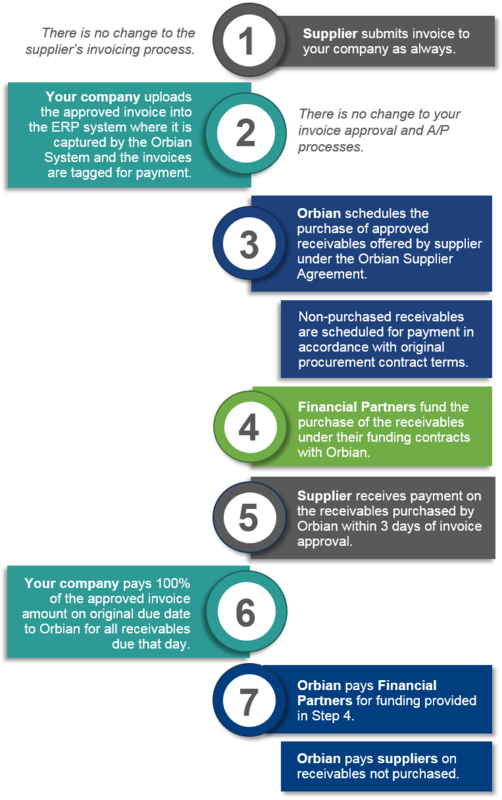 Orbian streamlines settlements for buyers who initiate a single payment item to pay all invoices due to suppliers.